Outsourced and remote employees often are expected to share the company vision but are not part of the team. Leaders take action to bring these workers into the team. 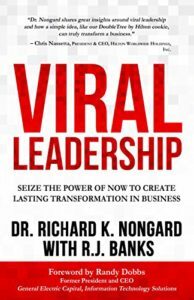 Today’s post is by Dr. Richard Nongard, author of Viral Leadership (CLICK HERE to get your copy). As I walked by the reception desk in my executive center to get to the copy machine, the receptionist stopped me and said, “You know, I really am thankful for the Christmas gift you gave me in December.” The comment came from left field, it was May now, and I had only given her a red envelope with $100 in it almost six months ago. It was nothing extravagant, and she certainly deserved it for all the help she had given me over the past year. Larissa, the receptionist, is a remote employee. She works offsite managing the building where my office is, but far from her fellow company employees. And herein lies the big problem for many remote employees, which is also a problem many outsourced workers have: They are expected to share the vision, but are not a part of the team. In many cases, remote employees are the visible face of the company to end users or customers. I sometimes think of the lone airport employee, operating the parking lot kiosk at the rental car agencies, when I am traveling to or from my keynote speaking events. They wear the company badge, and they are the only person from the company I interact with, but they are often the only person on duty in the kiosk. The only other co-workers they speak to are often dispatchers or call centers they serve remotely. They are important keys to the company’s vision, after all, they are the ones interacting with customers. But often to the leaders of the company, they are overlooked, passed over and not considered a part of the team. Every leader reading this knows that the remote employee is valuable and that every outsourced worker plays a vital role in success (often these are IT professionals, who in many ways are the lifeline for the company vision). But every leader also must admit that “out of sight, out of mind” is an axiom that rings true unless there is a meltdown in the system. How can leaders create buy-in and engage remote workers, outsourced employees, and shift workers who may never see the light of day? The value of doing so is not only compassionate but will pay dividends worth far more than the investment of time or energy to bring them in and make them part of the team. By making an effort to bring those who are part of the vision onto the team, turn over can be reduced, recognition can be given, and we can broaden the sources of innovation by creating employees who want to contribute to the bigger picture. Create buy-in by making sure that remote and outsourced employees are invited to team meetings and team social activities. Technology makes this easy by patching them in on the big screen, just as they often Skype or Zoom for one-on-one task instruction. I invited one of my outsourced Turkish employees to “dinner” by using my cell phone Skype and taking those who were onsite to a Turkish restaurant. It was silly, but it was fun as we showed him the American version of the Turkish food we were eating, and he brewed Turkish tea in his double kettle in his apartment and showed us on Skype as the brew was poured. A year later, he asked when we were going to do it again! I have always had a large team of outsourced employees working on the same project, at the same time. I have made sure that everyone exchanged contact info, permitting contractors to contact other contractors so that they would not have to go through me to complete the next task if the key piece was coming from someone else. The benefit this gave me was freedom from being the monkey-in-the-middle while also communicating that I trusted my team members to all contribute autonomously. I have also used collaboration boards like Trello and Asana. 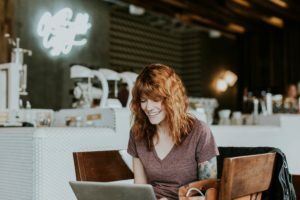 These tools are indispensable for anyone working with outsourced employees because they connect everyone in one central online virtual office. And lastly, make it a point to include remote employees in the social aspects of the business. We have all been on the receiving end of knowing everyone else was doing something but forgot to invite us. It happens. But be attentive. Ask yourself now, “Is there someone important to the company we are overlooking?” and make an effort to at least give them some recognition from time to time for a job well done. It is paradoxical that their ability to be autonomous and work without supervision also causes us to overlook them. But the thoughtful leader recognizes this and takes action to make them not only responsible for the vision but to include them on the team also.